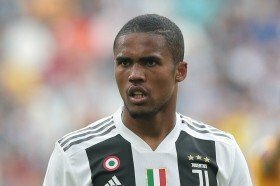 The Brazil international has struggled for gametime with the Bianconeri this term and he has managed to start just three matches from the off in Juventus' 17 league matches. As such, there has been regular speculation regarding the attacker's future and according to Rai Sport, he could head through the exit door during the New Year. It is added that United appear the prime destination after having already lodged a £54m for the attacker, who was formerly in the ranks of Bayern Munich. United caretaker boss Ole Gunnar Solskjaer is understood to have voiced the need for a new wide player at the turn of the year with the future of Alexis Sanchez under consideration. The Chilean has failed to replicate the showing from his Arsenal days since making the winter switch to the Red Devils and there are suggestions that he could be sacrificed with the potential arrival of Costa.